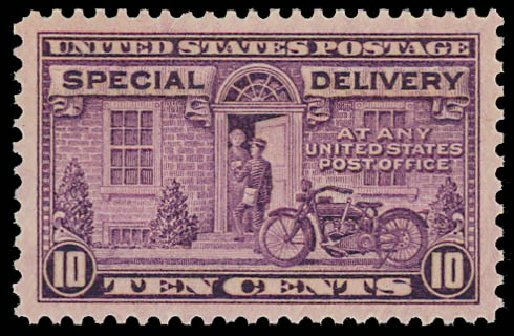 USA (Scott E15) 1927 MOTORCYCLE DELIVERY 10? 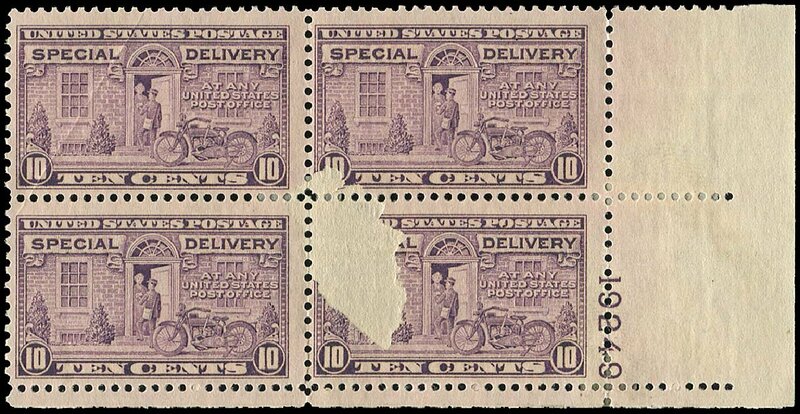 RED LILAC, PLATE BLOCK W/ LARGE UNPRINTED VOID Lower right plate block (#19249) with very large unprinted void where extraneous paper detached from sheet after printing, with embossing around edges. 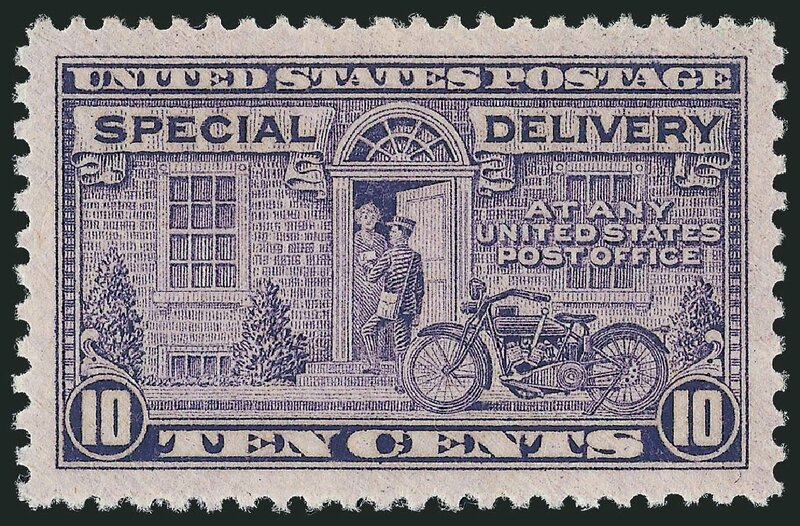 Always scarce, but concurrence on plate block especially scarce. 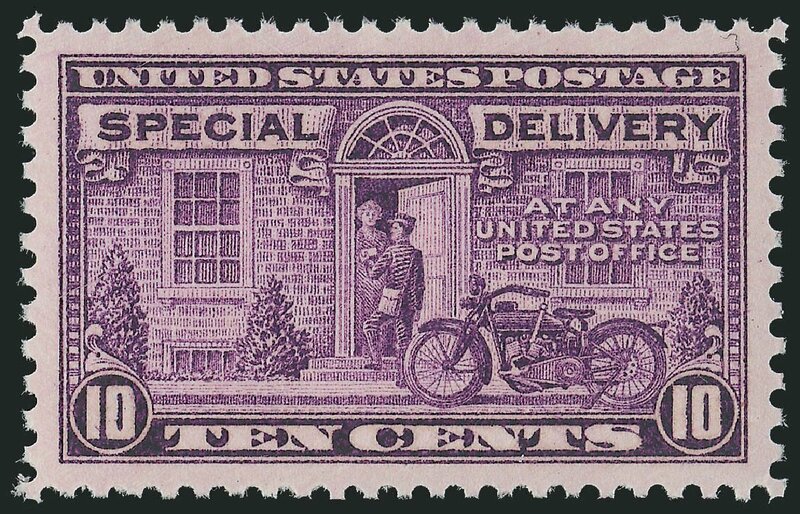 Original gum, previously hinged. 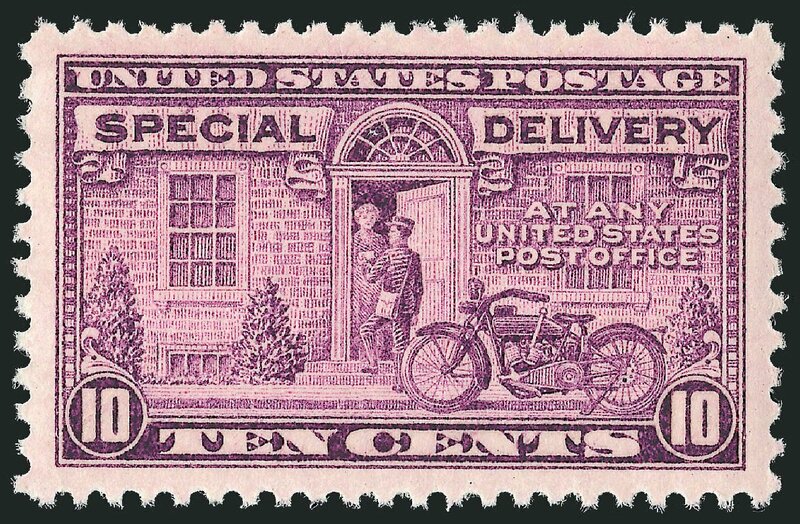 Special Delivery, 1927, 10¢ red lilac (Scott E15a), o.g., never hinged, impressive large margins, bright vivid shade, a beauty, Superb, 2007 P.S.E. 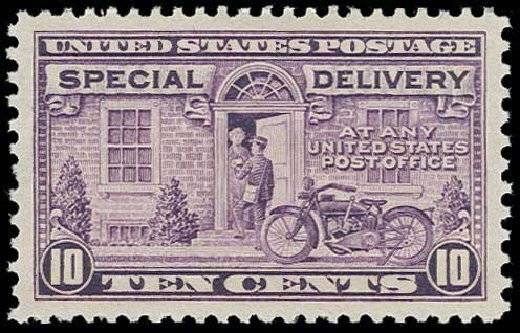 certificate graded SUP-98 (only 11 grade higher). SMQ $90. 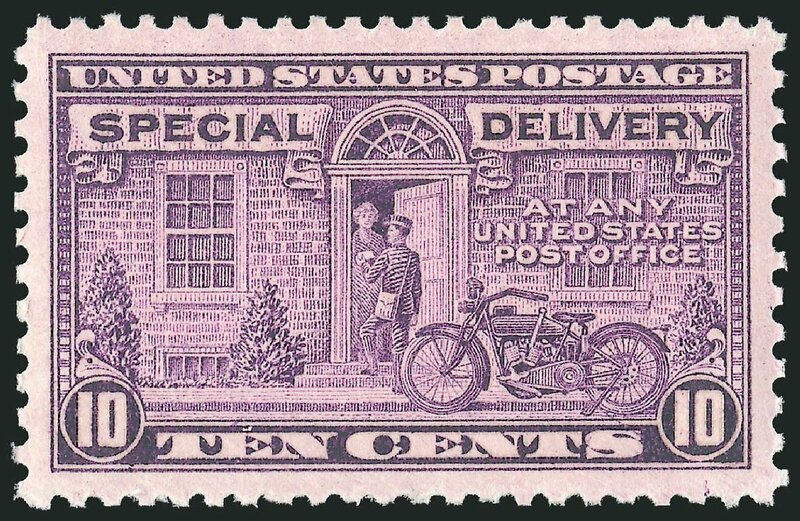 Scott $2 Estimate $50 – 75.